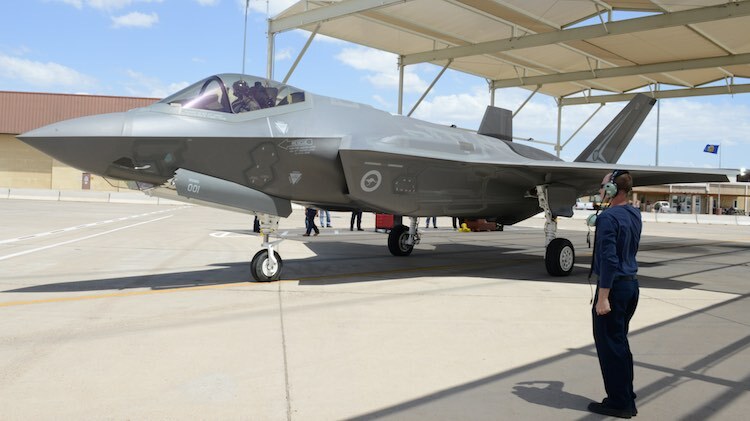 Australia’s first F-35A Lightning II pilot, Squadron Leader Andrew Jackson, has flown a Royal Australian Air Force (RAAF) F-35A for the first time at Luke Air Force Base in Arizona on May 15. “My focus is on representing the RAAF as a valuable partner in the F-35 enterprise,” SQNLDR Jackson told the 56th Fighter Wing Public Affairs Office. “It is very exciting to finally be at Luke with the 61st Fighter Squadron, and to get to fly an RAAF F-35A. SQNLDR Jackson completed his first F-35A flight in a US Air Force aircraft in March at Eglin Air Force Base; since then, he has qualified as an F-35A pilot and concluded training at Eglin. Nice Machine would be great to see it at Avalon 2017!! Lucky bloke. How awesome to fly a low time fighter. Lucky bloke indeed.I remember looking in a new NZAF macci MB 339 at an airshow at Richmond back in the 80,s.It had 24hrs on the clock,and smelled like a new car.Very cool.Only seems like yesterday that our folks were learning to fly the classic 18.